The days are getting lighter, the buds are peeking out on the trees, and there’s a definite feeling that spring is right around the corner. 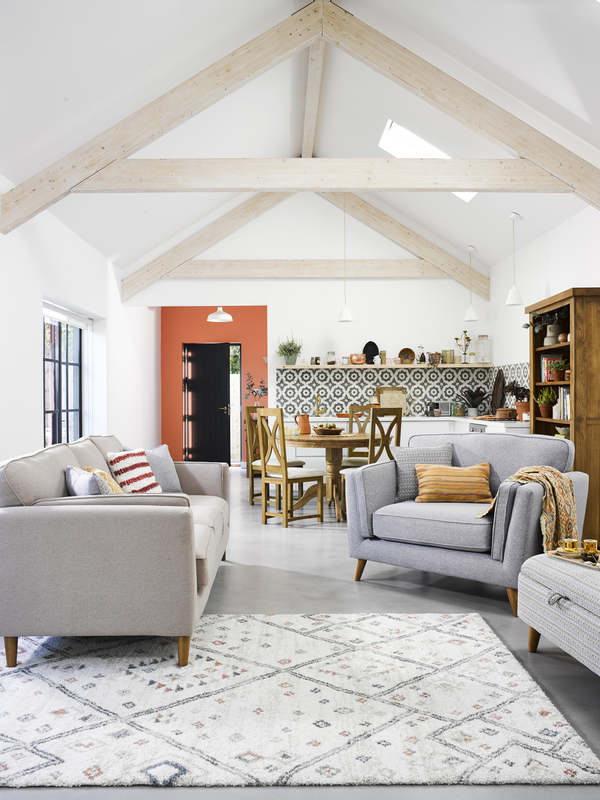 Nothing helps to stave off dark days like light washes of colour, and embracing furniture and accessories with lighter wood tones is the perfect way to add extra brightness to a space. 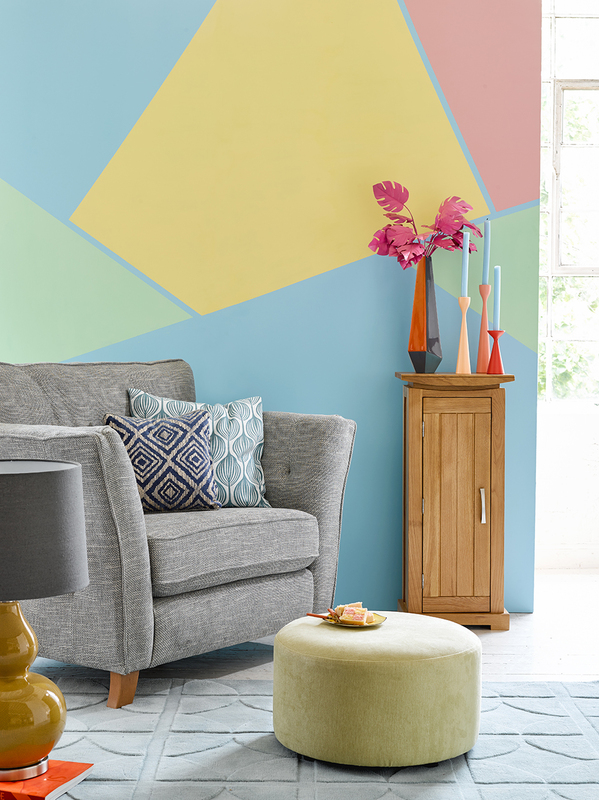 Pair spring blooms with the cheerful tones of natural oak. 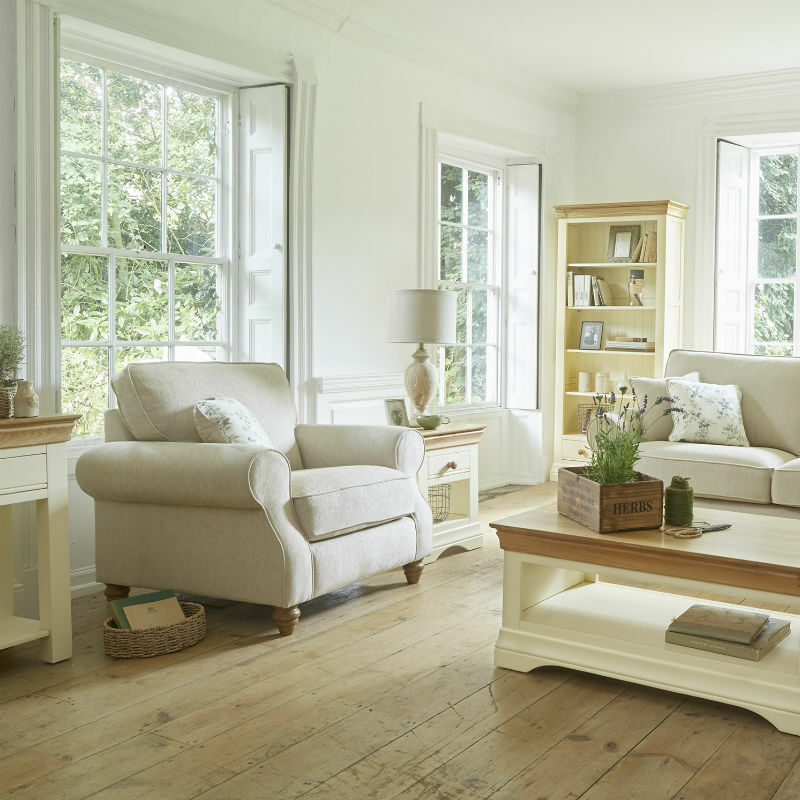 In our Country Cottage collection, we use a warm, smooth shade of cream paint to offset the wood accents. 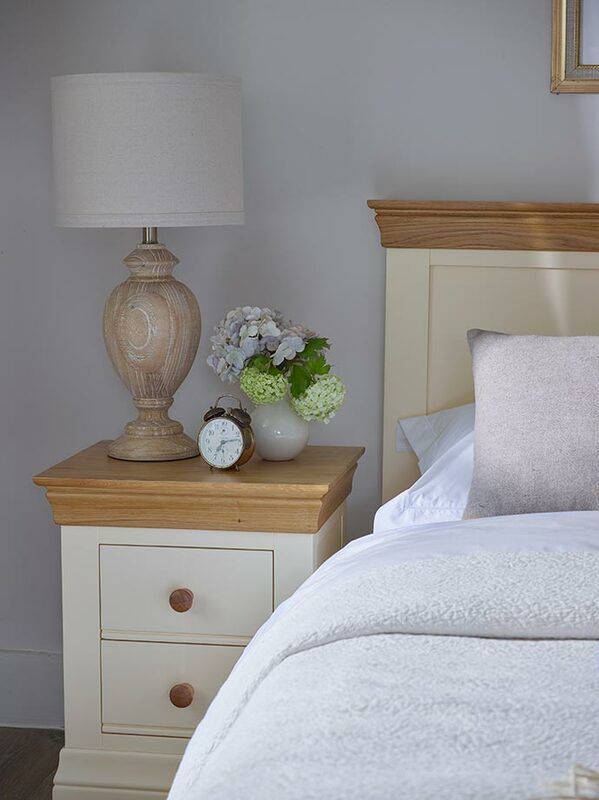 We love how the overall look of this bedroom is completed with our lime-washed Barcelona Lamp! 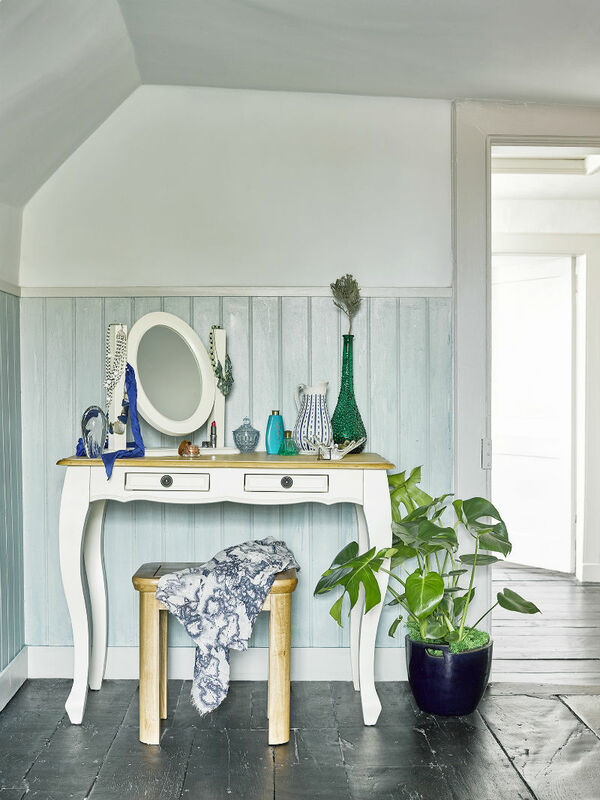 There’s nothing quite like flowers to add a breath of fresh air to a room, and spring gives us the perfect opportunity to take advantage of all the great florals on show. 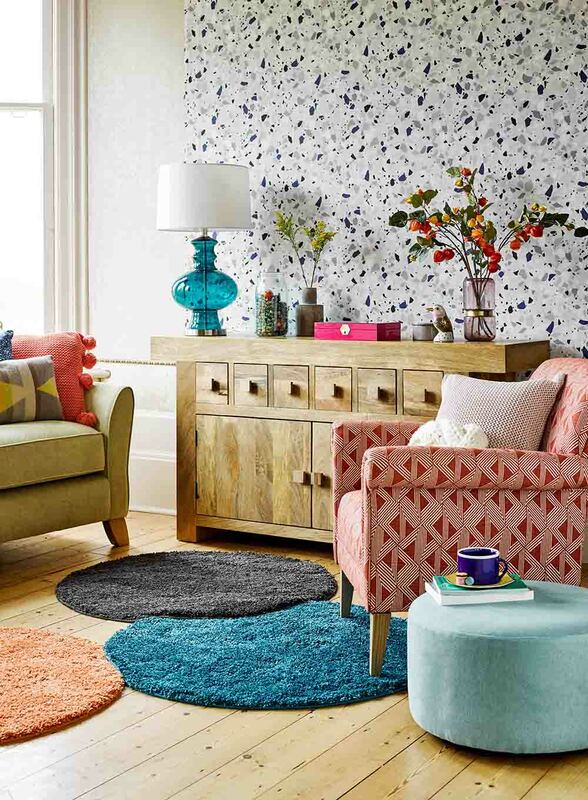 Accessorise your living room and coffee table with a collection of your favourite bright plant pots and bouquets. 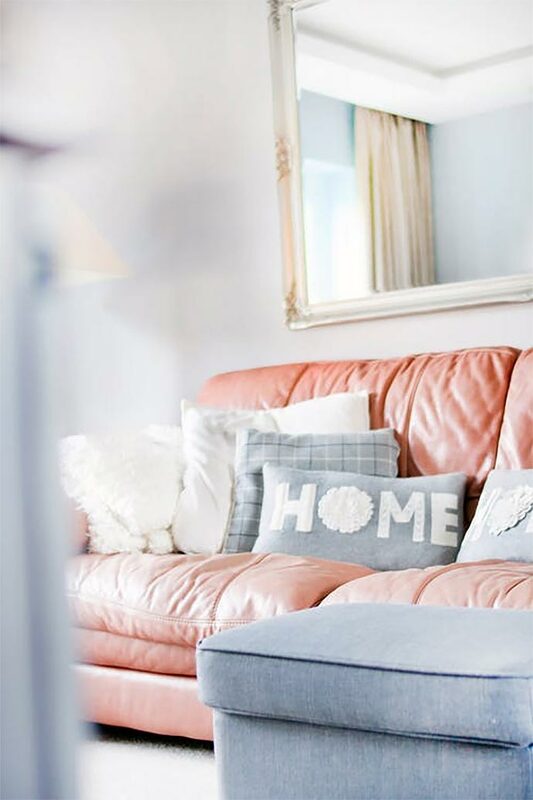 Or, go double duty, like in this living room, which matches the floral cushions of our Amelia sofa with a well-dressed and lovely Country Cottage coffee table! 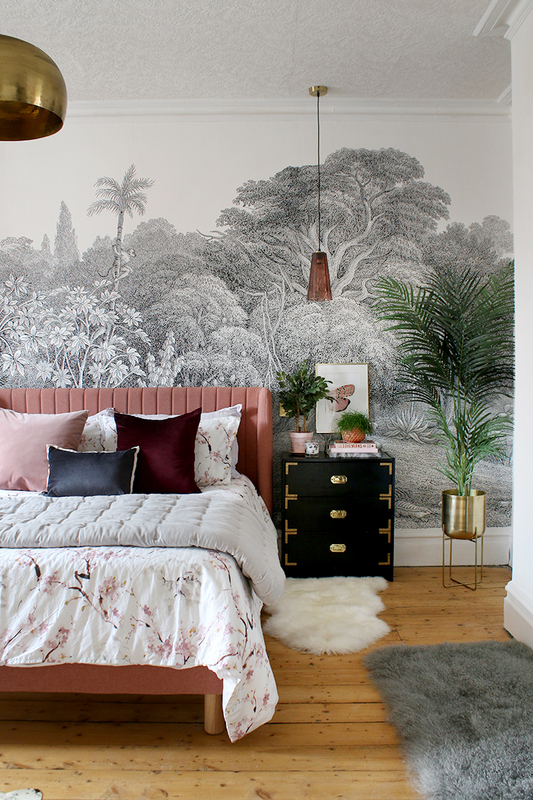 Spring decorating and spring cleaning go hand in hand, so why not use this opportunity when your home is at its freshest to bring a little more openness and space to your interior design plans? Try bringing some everyday items out into the open and incorporate them as unique design features to bring a cheerful and playful air to a room. Instead of hiding your favourite bowls and kitchen utensils away in your Country Cottage sideboard, by using them as decorating, you’ll add an open, spring-y touch to your dining room. 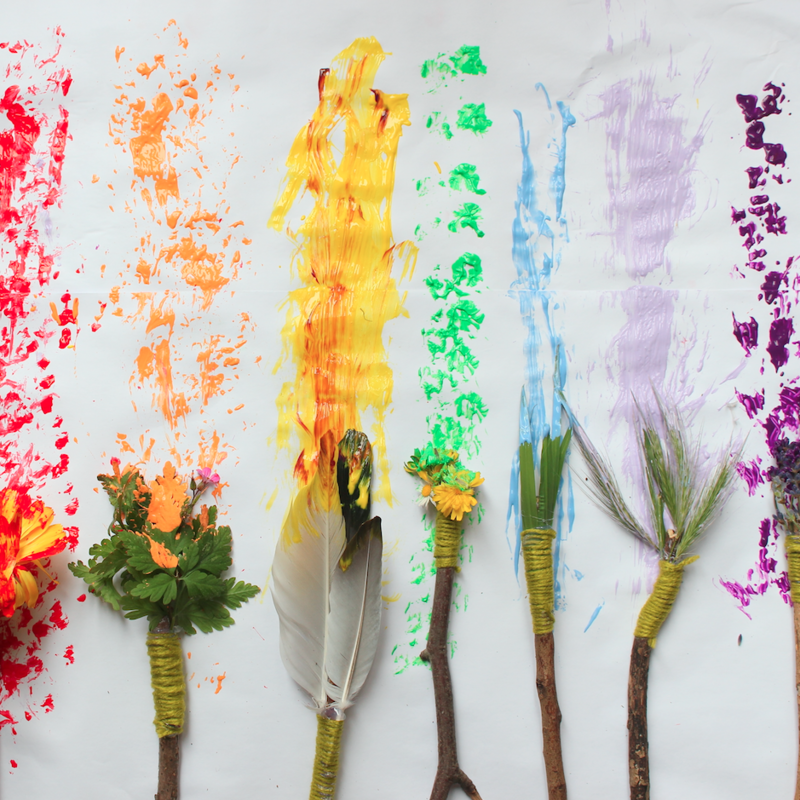 How do you get your home ready for spring? 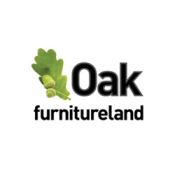 Share your favourite home decorating tricks with us on Instagram, Facebook, or Twitter using #OakFurnitureLand for your chance to be featured in our online gallery!